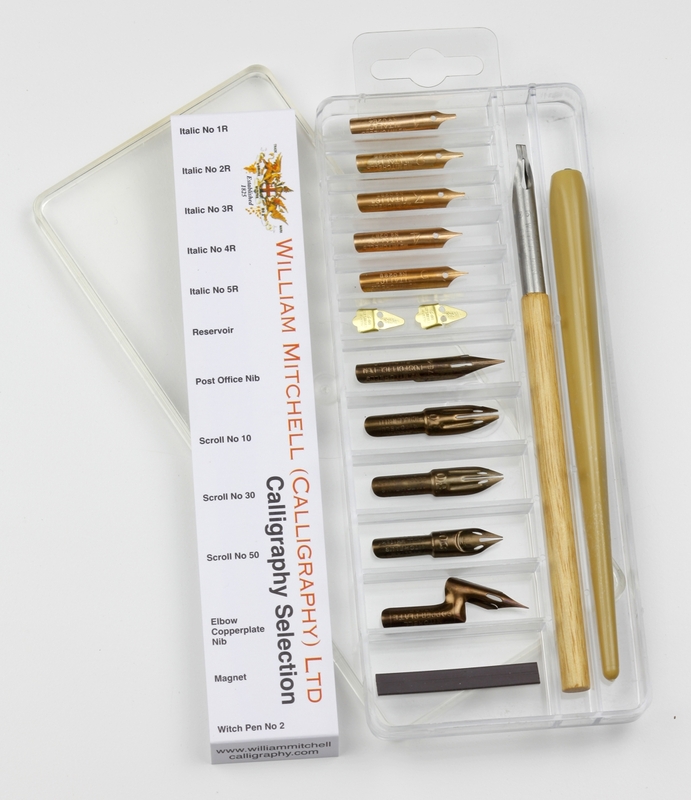 The William Mitchell Calligraphy Selection includes a variety of nibs for Italic, Scroll, Copperplate and general writing. It also includes the Post Office nib and Witch Pen for writing on an uneven surface. Includes the multipurpose pen holder and a magnet. 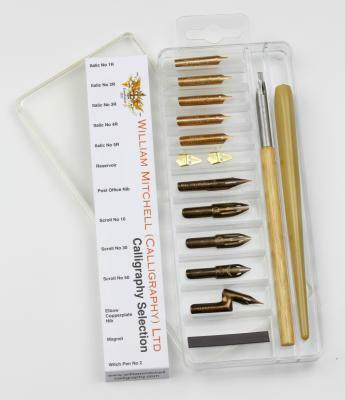 Post Office Nib, Scroll nibs 10, 30 & 50 and a Elbow Copplerplate Nib. Comes in a hard plastic box which also works as a storage box.